Better known for its Mozart concerts and grand balls, Vienna is having a go at establishing its own version of Oktoberfest. The Wiener Wiesn will make its debut in Vienna’s famous Prater Park this fall in a premiere that promises to overflow with beer, wine and music. In the first ever Wiener Wiesn scheduled for Fall 2011, four giant marquees will be put up on the Kaiserwiese meadow, directly in front of the Giant Ferris Wheel in the Prater Park. In addition to the VIP Kaiserzelt marquee and two traditional beer tents for 1,600 and 2,000 guests, there is a Wiener Weinzelt with a wine tavern atmosphere. Wiener Wiesn will have a strong Austrian flavour, with Wiener Schnitzel, sausage, roast pork and crispy pork knuckle on the menu. And the beer? It too will be from Austria. Inside the marquees, the music repertoire includes Schlager pop, traditional Schrammel music and Volksmusik from Austria and abroad – headline acts include Andy Borg, die Edlseer, die Monroes and Neuwirth & die Extremschrammeln. Access to the festival site is free of charge, but admission to the four marquees is only permitted with a valid table reservation. 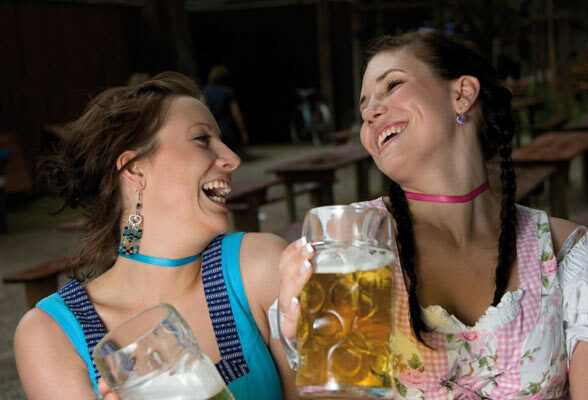 See the Wiener Wiesn website for further information about reservations (www.wienerwiesn.at).